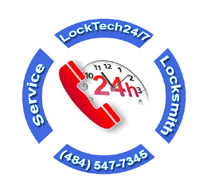 24-7 Emergency locksmiths at LockTech24/7 are your best choice when you need fast emergency locksmith services. This includes; automotive locksmith, residential locksmith, and commercial locksmith services. With this in mind, we’re serving residents of Allentown in the last eight years and we made thousands of satisfied customers. With very skilled technicians, we can solve your lock and key issues on the spot. In addition, we provide unique solutions at reasonable prices. Furthermore, we support our parts and labor with a ninety days warranty. We provide mobile automotive locksmith services in the city of Allentown, PA. For this reason, we drive fully equipped mobile locksmith shop. Furthermore, we’re available 24/7 to be ready to help in a case and you locked yourself out of your house, or your car. 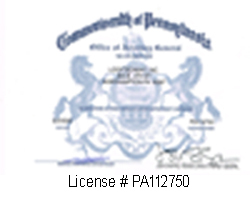 In addition, we arrive within 20 minutes anywhere you need us in the greater Lehigh Valley, PA. Emergency Auto Lockout Allentown PA – We unlock cars, vans, trucks, tractors, and any other automobile regardless of size, year, brand, and model. If you’re locked out of your vehicle, right now, please call us as soon as possible, and we will be there in a short time frame. Emergency Broken Auto Key Extraction Allentown PA – You auto key can break anytime you least expect, and out of nowhere. Besides, it’s enough a tiny crack on the key shank in order to break a car key. We have professional key extraction kits, in order to be able to remove the broken piece out of your auto ignition lock or auto door lock. Emergency Automotive Key Replacement Allentown PA – When it comes to replacing your vehicle key, we’re one of the leading company for new car auto key replacement. This includes, either, a basic auto key, transponder auto key, laser cut autokey, and automotive key fobs. Emergency Automotive Ignition Repair Allentown PA– One day, your ignition lock on the steering column of your vehicle can stop working properly. You would find it hard to turn the ignition switch to ON or OFF position. In a case your ignition stops working at the middle of the road, don’t hesitate to call us, right away. Emergency Automotive Trunk Lockout Allentown PA– This is one of the most painful car lockout incidents you can get. You’re shopping in the grocery store. When you came back to your car, loading your groceries in the trunk, you also left your car key while you shut your trunk down. Please don’t panic, we can easily unlock your trunk and get your car keys out. Residential locksmith services in Allentown PA done by LockTech24/7 technician assure your 100% satisfaction. We know you want to protect your family, so we focus into details of securing your home. This includes also emergency residential locksmith services. Emergency locksmith for house or apartment is available whenever you need us most. No matter if you’re locked out of your home or need to re-key or change your locks. Emergency Home Lockout Services Allentown PA – Lockout services are daily basis jobs for LockTech24/7. This includes house lockout, apartment lockout, bedroom lockout, and more. As a matter of fact, we provide all sort of emergency residential lockout services. Emergency Broken Residential Lock Repair Allentown PA – Think about a situation you arrived home late just to find the lock on your front door is broken. We know it is not a pleasant moment! and we know this situation can get your upset. Don’t worry, we have you covered! Emergency Broken House Key Removal Allentown PA – Same as your lock, the key can also break apart while you’re trying to unlock your door. Yet, this is not the end of the world. In a case and your house key broke, please call us. Emergency Residential Safe Lockout Allentown PA – In a case of you locked out of your safebox we’re able to unlock your safe box, quickly. Emergency Patio Door Secured – Perhaps, you know the moment when your patio door lock fails on you. Suddenly, the hook bolt of your patio door doesn’t latch with the locker on your door frame. With this in mind, we are happy to announce we can help! Same as all other of our locksmith services, we also provide emergency commercial locksmith services in Allentown PA and the surrounding area. With this in mind, no matter if you own a shop or a huge trucking company, we can help you fast. This is the reason why so many business owners are working with us. Emergency Commercial Lockout Services – We’re able to unlock any commercial door you may have in your business. This includes a storefront door lockout, as well as a heavy metal door with a panic bar. As we’re available 24 hours a day, feel free to call us day or night. Emergency Commercial Lock Repair – Commercial locks are heavy duty locks, yet, they intend to break. You shouldn’t let any locksmith take care of the locks on the doors of your business. You simply want to deal with the best locksmith in Allentown and the Lehigh Valley. Emergency Broken Commercial Key Extraction – Sometimes, to remove a broken key from a commercial lock, we need to take the trim and the lock apart. Although it might be a hard job to do, we would be happy to assist you! Emergency Panic Bar Repair Allentown PA– Beside a broken key or a broken lock, a push bar on your door can break too. If this is the case, we have you covered. We repair and replace push bars of all types and designs! 24-7 emergency locksmith Allentown PA whenever you need an emergency locksmith to come on your way.